Originally known as just ‘Children’s Opticians‘, Adult and Childrens Opticians was one of the first practices in the country designed with the needs of younger children and parents in mind. We have a large playroom full of toys, toys in every testing room, mother and baby room and a particularly large selection of fabulous children’s frames to fit all pockets. All our Optometrists and Dispensing Opticians are very experienced in working with young children AND coping with the needs of children whilst testing accompanying adults. We aim to achieve a relaxing and stress free environment for all the family so that you and your children can enjoy regular eye care. Eye care and fitting and adjusting of glasses for young children is completely different from adults and to protect children from the possibility of receiving unsuitable lenses or frames, by law they can only be dispensed by a qualified registered Dispensing Optician or Optometrist. Every member of staff at Adult and Childrens Opticians is fully qualified and between us we have over fifty years experience! ALL our children’s frames are now covered against loss or damage for a year from the date of purchase. This means that if they are lost, or broken beyond repair, and they were purchased from us within the previous year we will replace them absolutely FREE. From the moment your child is born he is learning and developing rapidly. Much of the information about his new world is received through his eyes, so eye health is of paramount importance from the earliest age. To ensure that your child’s visual system develops properly, take them to an optometrist for a full vision check when they are 3 years old or before they start nursery. Regular eye examinations from the age of 3 years will ensure that many problems can be detected and corrected at the earliest possible time and help your child’s vision develop properly. 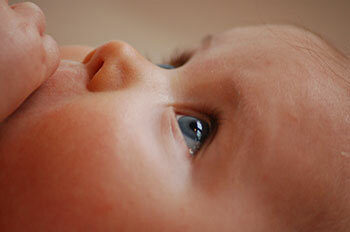 Your health visitor will carry out a simple vision check and squint test at six weeks and eight months. However, this valuable service will only detect the more obvious problems. School vision screening, where it is still available, is also a simple screening procedure, designed to detect only gross abnormalities, such as large differences in vision in each eye, obvious squints or reduced vision. Whilst these services detect and refer a large number of children for further tests, many will pass these checks but still be at risk of poor vision, squints or visual disabilities which can have a devastating effect on learning ability. This sounds a little melodramatic but it must be understood that the eye is a very complex organ, and good vision is not limited to the focusing of a clear picture on the retina situated at the back of the eye. Distance sight alone is not, therefore, an adequate measure of overall visual performance and all children should have regular eye examinations throughout their life. Read about how Behavioural Optometry can help with vision problems.